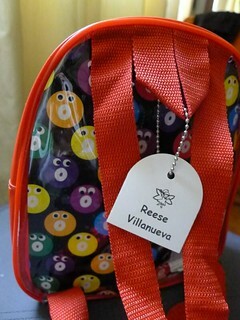 At the start of the schoolyear, most preschool mommies are asked to assemble a kit containing your child’s things. This kit usually contains an extra set of clothes, change of undies, some toiletries, slippers, and the like. Teacher asks that moms prepare the items and place it in a box and bag, and then this kit, once submitted, will stay in school for the rest of the schoolyear. Just like wrapping schoolbooks, shopping for school supplies, I find that making my child’s school kit has become some sort of therapeutic, nostalgic, oc-filled ritual. Is it just me who thinks this way? Usually teacher asks for a shoe box to be wrapped and decorated, and labelled with your child’s name. Tip: you can decorate the box together with your child to help build up the excitement for school. Then you gather up the items on the list. Again, it's great to involve your child and make this something like a scavenger hunt. Some things you have to buy at the store like mosquito repellent, hand sanitizer, soap. Some you can look for at home and in your closet like the extra clothes, slippers, face towel. Then here’s the challenge: Teacher says you need to label everything with your child’s name. Some things are simple and easy. Just print stickers in the computer and stick it on each item. But some items have always been challenging, specially the pair of slippers, or that extra pair of undies, and clothes. 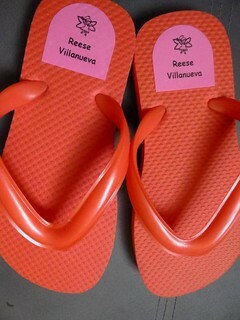 With my older kids, I remember just getting the old permamnent marker and just write on the sole of the slippers. 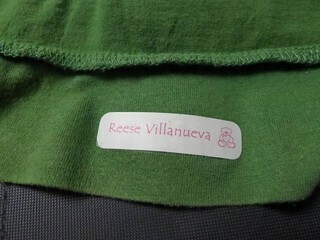 Then whip out a fabric marker to label the clothes. Easy? yes. And permanent. How else would you label such things? 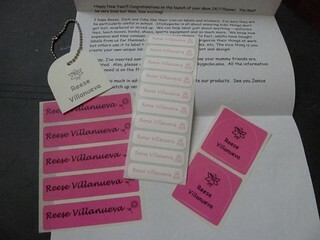 That's why this year, I was so happy to find a cool solution when a friend and mompreneur Ultima Todino- sent me samples of her new product, Sticky Gecko labels! Iron on labels for clothes and undies. This is my fave. Slipper stickers. Teacher asked us to put everything in a bag. Here's Sticky Gecko's bag tag version that's surprisingly durable. Thank you Ultima for the Sticky Gecko samplers for my kids! 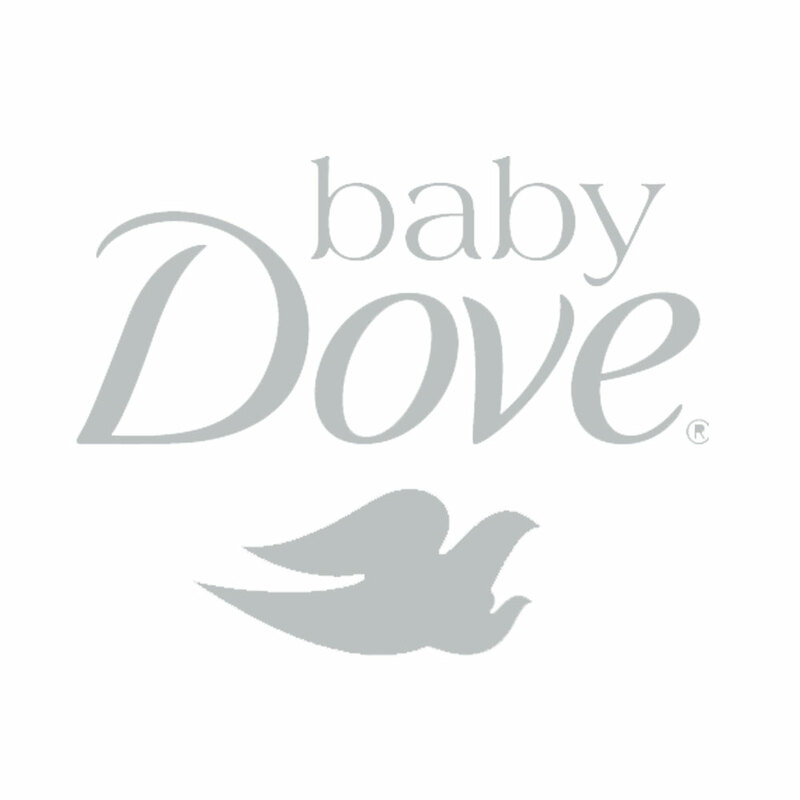 I just love new cool products that answer a need or challenge, and I know that it's something probably other moms encounter as well. So here's our answer, mommies! For more info on Sticky Gecko, visit their website or Facebook page. Full Disclosure: Sticky Gecko provided sampler packs for my kids. Thanks Sticky Gecko!